The New England Patriots played their first games in 1960, the AFL’s inaugural season. They won their first league championship 41 seasons later. In between came seasons of hope and potential and seasons of profound frustration and bitter disappointment for both the team and its loyal fans. And then the story changed dramatically. Though no one would have dared imagine it at the time, the Patriots’ victory in Super Bowl XXXVI was the beginning of a dynastic era that has to date included three championships in a four-year span, and four trips to the Super Bowl and five to the AFC Championship over the course of seven seasons. 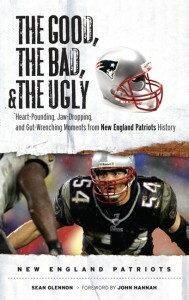 The Good, the Bad & the Ugly: New England Patriots tells the story of the Patriots’ evolution from NFL sad sacks to perennial contenders. 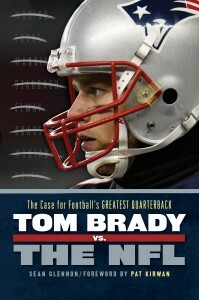 The book runs down Patriots history from the team’s formation through Super Bowl XLII in a series of fast-paced, fun and entertaining self-contained sections. Taking a fresh, fan-oriented perspective, Patriots GBU recaptures all of the major moments in team history, and many of the minor ones. It covers the highest highs and the lowest lows, the horrible mistakes, the heartbreaking near-misses and miserable luck, the exhilarating successes, inspiring personal and collective triumphs, and, of course, some of the greatest finishes in all of sports history. For die-hard, veteran Pats fans, The Good, the Bad & the Ugly: New England Patriots provides a chance to wince and curse and smile along, recalling the best and worst moments, coaches, players and owners. For those who climbed aboard the bandwagon after 2002, the book provides an opportunity to catch up with a wild back story, and to revisit the great moments of the Belichick era. 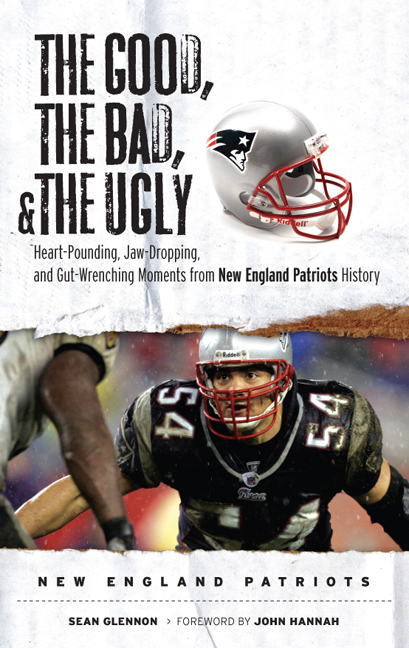 The Good, the Bad & the Ugly: New England Patriots features a foreword written by Patriots great and Pro Football Hall of Fame member John Hannah. Patriots GBU also features a number of short sidebars that recap memorable moments, take quick looks at players and coaches and break down revealing stats.